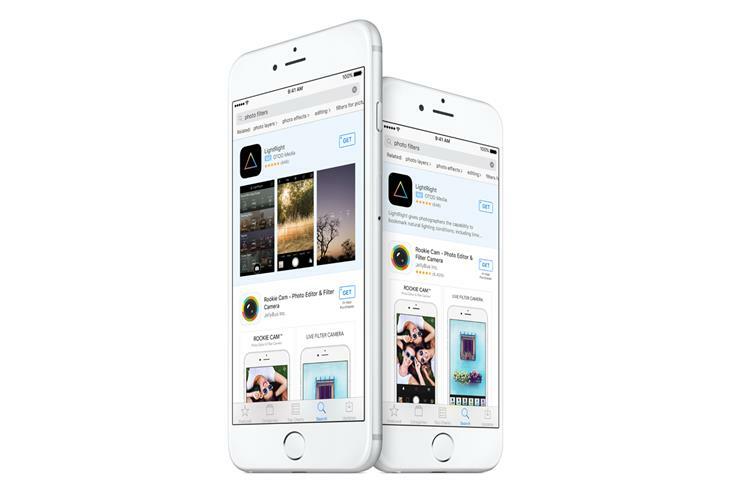 Developers in the UK, Australia and New Zealand will be able to advertise their apps within Apple's App Store's search function from next week (25 April). Apple has been running ads within search in the US since last October and claims conversion rates of more than 50%. The company also said the average cost per acquisition is around $1 (78p) and can be as low as 50¢ for smaller advertisers. Apple also promises that ad relevance is prioritised over adspend so that no developer can dominate search results no matter how much they are willing to pay. The promoted apps will be marked out with a blue background (above) and are built to be relevant to the user’s search. The ads use "second price auction" method whereby the party with the highest bid wins the auction but only pays the amount of the second highest bid. According to Apple, both relevance and bid price determine which ads show. Apple creates the ad images and copy from the metadata supplied by the developer and only one ad is displayed per search.